Eco-Friendly HP CH565A (HP 82) Black Ink Cartridge Now Available at TonerGreen.com | TonerGreen - Eco-Friendly Toners from the U.S.
TonerGreen.com, your reliable environmentally-concious online store, which provides environmentally responsible printing solutions such as eco-friendly toner cartridges and eco-friendly ink cartridges for major printer brands like Hewlett-Packard. TonerGreen's eco-friendly HP inkjet cartridges are designed to print a variety of printouts ranging from monochromatic and colored documents to high-quality photos. 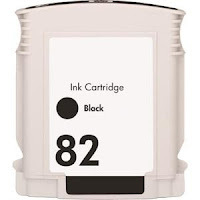 And just recently, TonerGreen introduced another product in its line of eco-friendly HP inkjet cartridges, HP CH565A (HP 82) black ink cartridge for HP DessignJet 111 and HP DesignJet 510 inkjet printers. Our HP CH565A (HP 82) Inkjet Cartridge is eco-friendly. Remanufactured with up to 75% recycled components, our HP CH565A (HP 82) Inkjet Cartridge is thoroughly engineered to meet or exceed OEM specifications. All our ink and toner cartridges are backed by 100% Risk-Free Guarantee. Experience ultimate Eco-Value when you purchase our remanufactured HP CH565A (HP 82) Inkjet Cartridge: practical environmental solution, world-class service, and the highest quality inkjet cartridge at the most competitive price. Aside from that, TonerGreen is driven by our steadfast commitment to consumer satisfaction. We deploy substantial resources in ensuring the sustainability and durability of our Inkjet Cartridges. Each Inkjet Cartridge comes with 2 Year warranty. Moreover, we assure you that using our Inkjet Cartridge will NOT void your printer warranty.